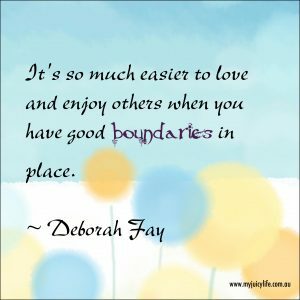 Boundaries are without a doubt one of the greatest challenges for the people I see in my practice and they were a challenge for me until I was in my early 40s so I love exploring this topic and working with others to understand them and set them in place in their lives. They seem to be particularly challenging for people who are people-pleasers, people who have been raised in a family where there is co-dependency, addiction or abuse of any kind, and also when self-esteem is low or self-doubt reigns. So many people spend so many hours lying awake at night trying to work out how they are going to move in the direction they want in their own lives without having to “confront” someone with the news that they are not going to be able to accommodate someone else’s expectations of their time and resources. An equally amazing amount of time is spent working out how to let someone know when they have overstayed their welcome, made them feel uncomfortable in some way, or expected them to accept something that they neither agree with nor want for themselves. Instead of boundaries, and often out of a sense of desperation, what many people learn to do is to put up barriers after a long period of time spent “swallowing” their feelings which most often leaves people feeling isolated and almost shocked that they have had to go to such extremes in order to feel heard, respected and safe. I am so happy to tell you that it doesn’t have to be this way. It can be so much easier than you might think and today I am going to show you how to work out what boundaries you need to put in place and how to do it in a way that is most effective while being least confrontational at the same time. I am going to teach you how to use my FERN Process to create a script for setting healthy boundaries that others will be able to see and hear clearly and if they care about you they will want to respect your boundaries. First thing you need to do is become aware of what is going on for you and why you need to set a boundary in the first place. Self awareness is the first stage of emotional intelligence and you need to be aware of your true thoughts and feelings in order to be emotionally resilient. F – FACT OR FICTION? What is happening? What are you telling yourself is happening? These can be quite different things which is why they need to be identified and why I refer to them as Fact and Fiction. How is it making you feel? Tapping into your Emotional Response is very important because it helps you to easily identify what you need. What do you Need now? This is where you get to identify where the boundary is that you would like to set. Chances are that if you have had boundary issues then you are probably bringing unresolved emotions to each of your interactions which might mean your reactions to things seem to be out of proportion to the incident or event itself. That’s ok. Just be aware of that and be compassionate with yourself and anyone else involved. Once you have taken yourself through this process and answered all of these questions however you will feel so much more confident about what is going on for you and what you need, and you can literally use the answers as a script for letting other people know where your boundaries are and what you need from them. Something happened that I want to talk to you about (describe the facts of what happened). I am concerned that this is what is happening (describe what you think might have been going on). It has made me feel ______________ (name your feelings). What I need from you now is _________________________ (ask for what you want clearly so that it is as easy as possible for the person you are talking with to meet your need). 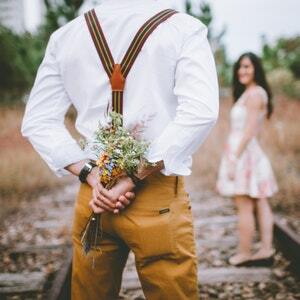 It isn’t easy to ask for what you need when you have spent a lifetime avoiding conflict but with some practice it gets easier and your relationships will be so much more enjoyable when you are setting clear boundaries and expecting them to be respected. 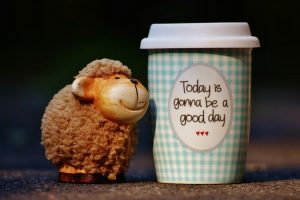 Over time, you will automatically respond to incidences in this way and it will no longer be something you need to give a lot of conscious thought to.